Quality Custom Homes since 1958. Just imagine custom designing your home from scratch, having the freedom to choose virtually every aspect of your new home and then, at the end of it all, living in the home of your dreams! L. Patten & Sons Limited brings 60 years of custom home building experience to every project we undertake. We take pride in building custom homes that are as beautiful to look at as they are comfortable to live in. We make it our goal to help our clients realize their dreams. 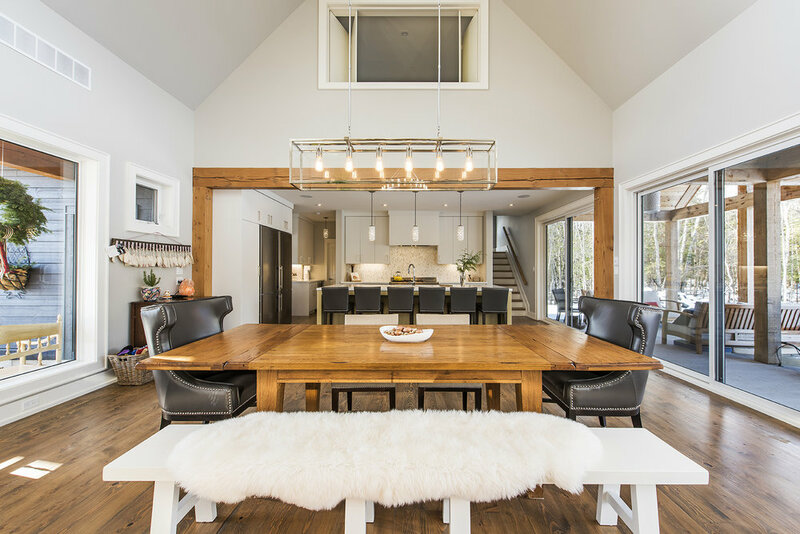 Quality craftsmanship, attention to detail and complete customer satisfaction are what sets L. Patten and Sons apart in the Collingwood, Blue Mountain and Georgian Triangle home building community. Our home owners can rest assured that their new home will be a source of pride and satisfaction for many years to come. We'll work with our partners to design a kitchen that complements your tastes. The kitchens in our homes are of the highest level of craftsmanship. The partners we work with are specialists in this area and can construct a state-of-the-art kitchen for you that will rival the kitchens of Canada's top chefs. We will build you the perfect kitchen for your taste and home. A modern spin on country living, our custom homes provide an excellent space for both entertaining and relaxing with family. At L. Patten & Sons we specialize in listening to our clients and understanding their special requirements in order to design their perfect living space. From romantic private suppers to elaborate and elegant dinner parties; we can expertly fashion areas which accommodate your lifestyle. You deserve to relax and unwind in a comfortable space. You've worked hard, so treat yourself. You've earned it. Let us give you rooms with calming aesthetics and soothing colours; a peaceful environment where you can be yourself and enjoy your beautiful surroundings. If contemporary is your preference; we can design a home like no other you've seen. Let your imagination run wild with clean lines, fresh colours, and open spaces. Our expert builders will make your contemporary vision come to life. View more styles.